The Mightymast Party is an over-sized professional Italian FAS table. Chrome plated, heavy duty, fast action, solid steel through poles with a glass playing surface. Easily detachable legs, Indestructible yellow and black players & scorers. 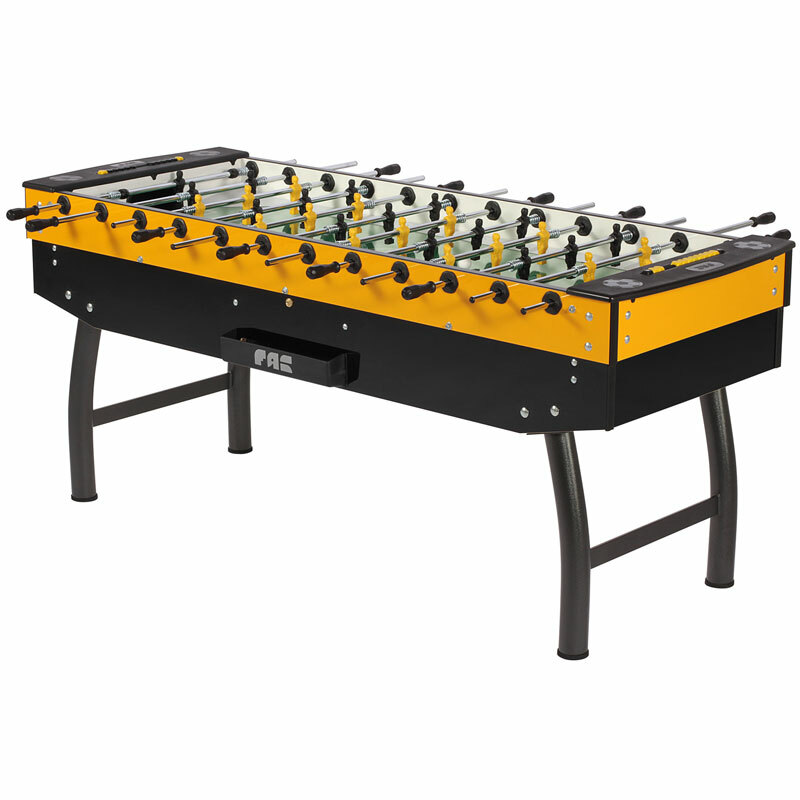 Dimensions Assembled: L206 x W77 x H90cm.